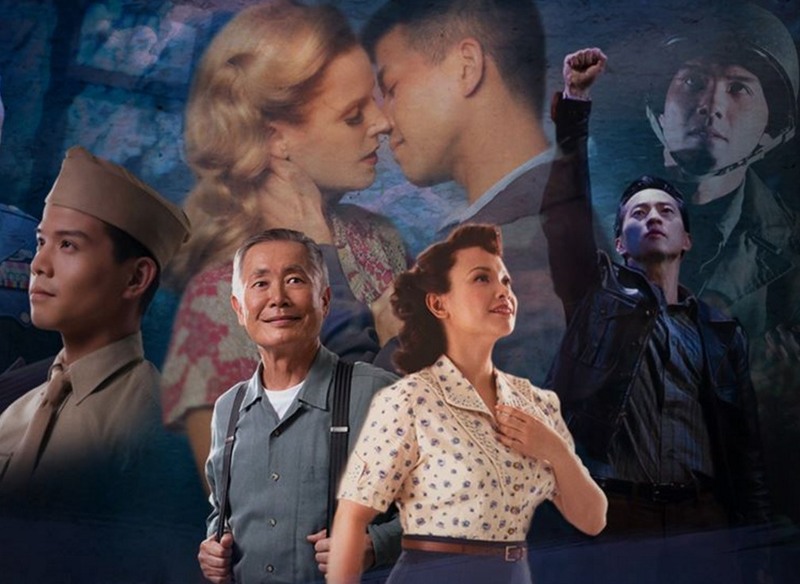 Tickets are now on sale for a screening of “Allegiance” on Tuesday, Dec. 13, at 7:30 p.m.
Fathom Events presents the Broadway musical featuring George Takei, Lea Salonga and Telly Leung, captured on film, plus behind-the-scenes footage and interviews with the cast and creators. Inspired by Takei’s true-life experience, “Allegiance” follows the Kimura family, whose lives are upended when they and other Japanese Americans are forced to leave their homes following Pearl Harbor. For more information, go to www.fathomevents.com/event/allegiance. For a complete list, go to http://allegiancemusical.com/article/film-theater-locations/. I was gone from Oct. 5 – 19 thinking that when I came home I could read the enewspaper but when I finally had time to look at it, I discovered that my subscription had expired. When did it expire and why can’t I read the old copies that I missed while I was gone?. I have since subscribed to the print version and have just sent in my check.